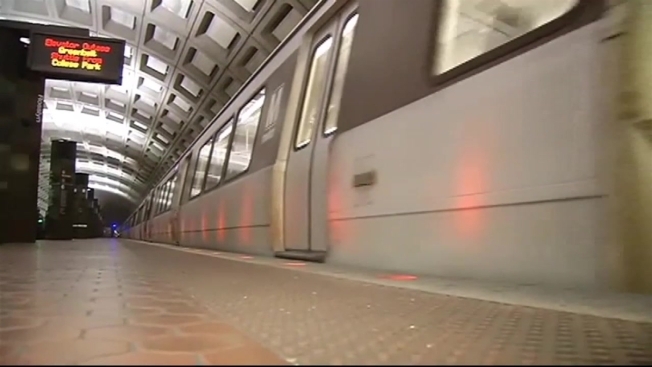 Metro is making some changes to train schedules for the Fourth of July holiday. On Friday, when the federal government is observing the holiday, the rail system will open two hours later than typical weekdays, at 7 a.m., and will close at 3 a.m. Trains will run on a Saturday schedule. Parking will be free at all Metro-operated facilities and off-peak fares will be in effect all day. On Saturday, Metro will also be open from 7 a.m. to 3 a.m., and trains will run on a Saturday schedule until about 2 p.m., when service will begin increasing to near rush-hour service levels before and after the fireworks. There will also be free parking at Metro-operated facilities. Metro says buses will operate on a Saturday schedule but expect detours around the National Mall.